Here’s some tax day trivia. It was Abraham Lincoln, a Republican President, who created the first income tax in the United States in 1861. The money was used to fund the Civil War. The tax form was 4 pages, one page of instructions, two pages for itemizing and the final summary page (shown above). It was a 3% flat tax on income over $800. A year later in 1862, this was changed to a 3% flat tax on income between $600 and $10,000 and a 5% flat tax on income over $10,000. An average factory worker made just $297 annually back then. The income tax was terminated in 1866. In 1868 the federal government went back to raising revenue on distilled spirits and tobacco and eliminated the income tax in 1872. The income tax came back in 1894 and was ruled unconstitutional a year later by the United States Supreme Court. Then in 1913, the 16th Amendment gave Congress the legal authority to tax your income and the monster began to grow. 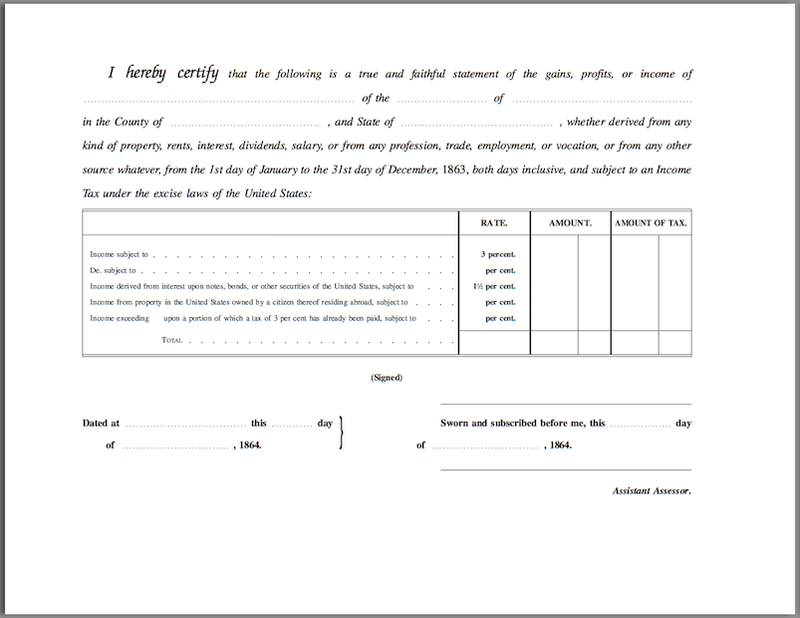 Here’s what the Form 1040 looked like in 1913. 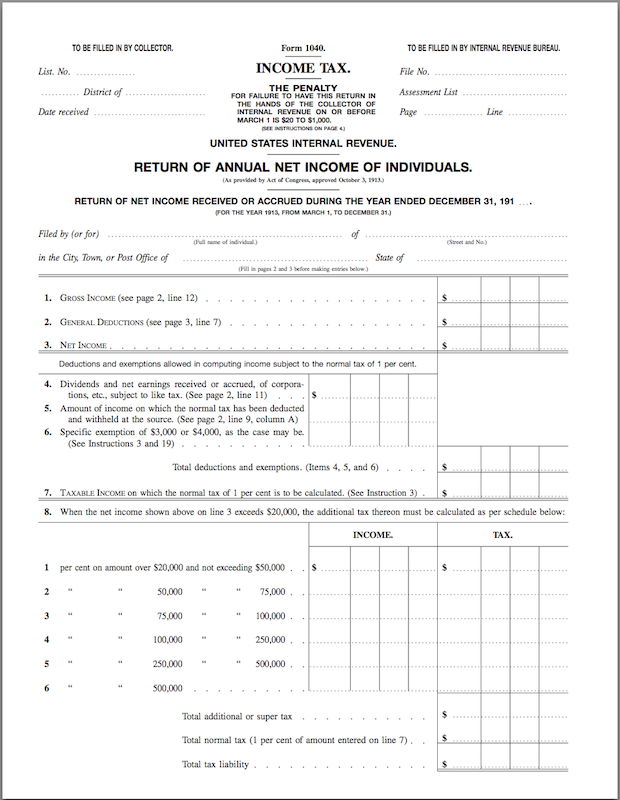 Even then it was called “Form 1040.” Why “Form 1040?” There are a few theories as to its origin. One is a reference to the year 1040 B.C. when the Prophet Samuel warned his followers a king would require them to pay taxes. Another is more boring. In 1913, 1040 was the next available number in the forms control numbering system of the federal government.